The reality for Hezbollah is that majority of the Shia in Lebanon are no longer happy with the group because it ha involved itself in what has proved to be an unpopular war in Syria. Many Shia families in Lebanon are sending their kids to Europe to escape the possible forced recruitment by Hezbollah of their military-age children. Hezbollah had always preached that they were the only ones willing to stand against Israeli invasions into Lebanon and defend the nation. But with the body bags coming home of young Lebanese Shia dying in Syria that narrative is now in question. Due to mounting casualties, Hezbollah, facing manpower shortages, called up its reserves last month—mainly school-age children who have little or no experience in even the rudiments of tactical maneuver and combat. Needless to say, this move has made Hezbollah even more unpopular among the Shia Lebanese. Iran’s plan to be seen as a peacemaker in Syria is also affected because the Iranians have limited the number of key advisors and units they are willing to commit to the fight against Islamic State. With Al-Nusra and IS having effectively destroyed most of the U.S. backed opposition groups in the region, within days, it is no mystery why this war is not going as planned for Hezbollah in Syria. Israel will be compelled to do what is best to defend its territories and defeat its arch-enemies in the region. As things now stand, if Hezbollah forces continues to take casualties and lose ground and recruits Israel will probably launch a campaign to finally finish off Hezbollah in the region and blunt IS advances against Druse strongholds in Lebanon and Syria. 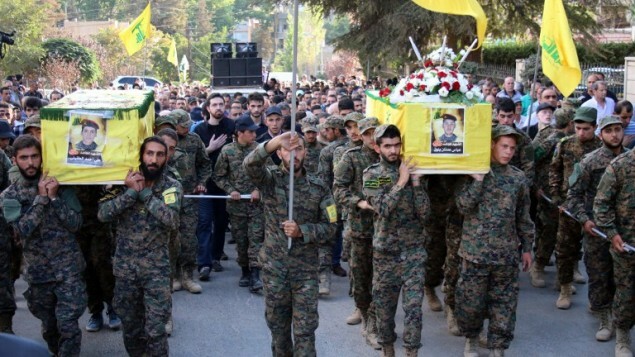 Today’s article looks at Hezbollah pulling back from Syria fighting.